We, at Ionlab have been left humbled to learn that our Track Every Coin customer base spans across 43 countries as of today and is increasing steadily! We learnt that, when a lot of customers entered categories and description in their native language, their account got locked as the application could not recognize characters other than English. This led us to enable multilingual feature to support all our customers and the discovery of the widespread of TrackEveryCoin usage. 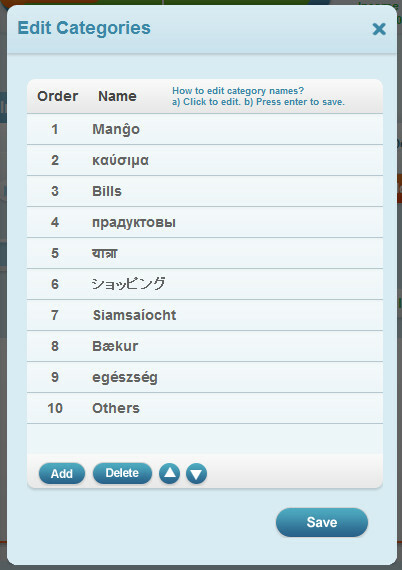 So here it is folks, you can now enter categories, expense/income descriptions, contact names etc in your own language!